If you have never used an 0845 number before, you probably don’t really know what one is or how it is different from an 0800 number or an 0844 number. You probably think that all numbers beginning with 08 are the same. Well, they’re not. There are, however, similarities. 0845, 0800 and 0844 numbers are all non-geographic numbers. This means that they are not connected to any geographic area – apart from the UK. So, if you phone a number beginning with 08, they could be based in London, Inverness, Penzance, Cardiff, Belfast or anywhere in between. All of them can also be pointed at existing landline or mobile phone numbers. However, after that there are key differences. 0800 numbers are freephone numbers – it is free for someone to call an 0800 number if they are calling from a landline. The recipient of the call pays for the call. 0844 numbers are revenue sharing numbers – the caller pays more to call them, and the recipient gets a rebate on the call, so they make money on the phone calls they receive. 0845 numbers are between the two. 0845 numbers are often called lo-call or low call numbers, because it only costs a low amount for someone to call it – the cost of a local call. The recipient of the call doesn’t pay to receive the call, but also doesn’t make any money from the call. It therefore benefits both you and your callers, is quick and easy to set up, and makes you appear to be a national company – even if you are not! For more information about 0845 numbers, please visit our website. We’ve all had very long telephone meetings which take up a large chunk of the day. A huge number of points are discussed and re-discussed, then revisited later in the phone conversation. You try to keep accurate detailed notes, but you are also focusing on the business deal in hand, what you are saying and what the person you are speaking to is thinking. You get to the end of the call, you look back at your notes, and you realise that you have missed something crucial. Or, you finish the call, go off for the weekend, come back on Monday, and can’t remember what you agreed on a certain detail, and you didn’t note it down. The best way to avoid being in this situation is to get our Inbound Call Recording feature added to your 0800, 0845, 0844 or virtual phone number. We record your inbound calls for you and then send the recording to you by email as soon as the call finishes. You can then listen to the call through your computer. So if you’re sitting in the office after a call wondering what on earth you agreed on a certain point, this is the ideal solution! And it doesn’t involve storing paperwork, you can just keep the recording on your computer in your files with your other records. To find out more about Call Recording, please visit our website or call us on 0800 142 2488. Our Press 1 for Sales added value feature is also known as IVR or Auto Attendant. This feature plays a welcoming message to your callers, such as “Thank you for call our business, your call is important to us and will be answered shortly”, or whatever you would like the message to say. You are then given options, such as press 1 for sales, press 2 for customer service etc. The call is then put through to the corresponding number. If you are a large company, this is an ideal feature because it channels your calls through to the correct department. This is a major benefit to both your staff and your customers, as your customers don’t have to waste time waiting to talk to someone who turns out to be the wrong person, and your staff can focus on specific areas without having to act as receptionists. If you are a smaller company that doesn’t have lots of departments, this feature can be ideal to make you look bigger than you already are. For example, you could have 5 different options, but all pointing to the same number. Customers calling would think you are a large business by having lots of departments, not realising the options all go through to the same number. Any business, small, medium or large can have our press 1 for sales feature, they just need one of our 0800, 0845, 0844 or virtual numbers to attach it to. For more information, visit our website. One of our great added value features is the “Online Call Statistics” feature. This feature allows you to go online at any time and find out the phone numbers of people who have called your number, what time they called you, and how long the call lasted. It also tells you how quickly the call was answered, so if you have a call centre, it is an ideal way to check if your staff are answering calls quickly enough, or if you need to provide better customer service to your callers. You can also see the details of any missed calls, so you can phone back any customers whose calls you might have missed. This feature is also great for companies that are running advertising campaigns. If you use different numbers in different adverts, you can keep a close eye on which numbers, and therefore which adverts, are giving you a good return on your investment. The Online Call Statistics feature can be added to any of our 0845 numbers, 0844 numbers, 0800 numbers and Virtual Numbers. For more information, visit our website. We have a couple of great added value features which can be added to your 0845 number, 0800 number, 0844 number or virtual number, to ensure that if your customers phone your company, they will always be able to speak to someone wherever you are and whatever the time of day. The first feature is called Divert Calls on Busy or No Answer – or DOBNA. This feature allows us to route your calls to alternative numbers if you are not available to answer the phone. This is ideal if you are away from the office or in meetings, as it means someone else can answer the calls and pass on the message to you. Your customers will be happy that someone answered the phone, and you just need to provide us with the alternative contact details. The second feature is Time of Day Routing. With this feature, calls will go through to different numbers depending on what time of day it is. So, you might want calls to go through to your home number in the morning and evening, your office number during the day, and your mobile whilst you’re travelling to and from work. You just give us times and phone numbers and we do the rest. You choose which of these great features is best for you! We offer a wide range of added value features to accompany our wide range of 0845 numbers, 0800 numbers, 0844 numbers and virtual numbers. One of these is voicemail. Obviously voicemail is an incredibly useful feature to have on any phone, as if someone calls you and you are unable to take the call, they can leave a message for you and you can get back to them. It is incredibly frustrating for a customer to phone a business and for the phone to just ring and ring, with nobody answering or with no option to leave a message. You are left relying on that customer to call back when someone is there. However, if they go on to phone a competitor who does answer the phone or does have a voicemail, then chances are they won’t bother getting back to you. Having a voicemail is therefore not only good customer service, it is also good for business. Our voicemail feature gives you a personalised voicemail box, which will have a personalised greeting message of your choice. As soon as somebody has left you a message, that message will be emailed to you as a found file, which you can click and play. Also, to make sure that you don’t miss any potential customers, if somebody chooses not to leave a message, we will still email you their phone number, minimising the chances of any callers slipping through the net. For more information, please visit our added value features page. An 0845 number has something in common with 0800 and 0844 numbers, in that it is a non-geographic number. Therefore, like the other two types of number, it does not indicate any specific geographic location, other than the UK. This is a huge benefit to a business that wants to provide a service nationally, as it indicates to potential customers that this is a national company. However, if you have an 0800 number, you have to pay to receive the calls. This is great because the customers and potential customers call you for free, which is a fantastic marketing initiative and shows great customer service, but if you are a small or start up business you might well benefit by looking closely at 0845 numbers also. With an 0844 number, the customer pays more to receive the calls, which is great for you as you receive a rebate of 2p on every call you receive. However, you might not want your customers to pay more to call you. An 0845 number provides the perfect compromise between the two numbers – it is a lo-call number, where the caller pays the cost of a local call to phone you, and you don’t pay anything to receive the call. It is the ideal balance, still with the benefit of being a non-geographic number. You can also use a wide range of added value features with an 0845 number, and choose whether to point it to a landline or mobile, or fax to email. See our website for more information. We believe that our range of 0845 numbers offer fantastic value for money. An 0845 number allows even the smallest of companies to appear to be a nationwide company by having a non-geographic number which gives it the impression of being a national company. And whilst you as the recipient of the calls don’t pay to receive the calls, the caller only pays the cost of a local call to phone you. However, our range of added value features mean that our 0845 numbers can be even better, and depending on your needs can be hugely beneficial to you and your business. For example, you can add a call whisper to your number if you have more than one number pointing to the same phone. The message of your choice will then let you know which number you are being called on. This is ideal if you have more than one business, or have a personal number and a work number. Our voicemail feature will send your voicemails to you in an email so you can pick them up wherever you are, our call recording feature means you need never forget what was said in a phone call again, and our Auto Attendant allows callers to press different numbers to speak to different departments, thus making your call answering more efficient and time effective. One of the key features of an 0845 number is that it is a non-geographic number. What does this mean? Quite simply, it means that the 0845 prefix of the number does not signal that the phone number belongs to a property in any specific geographical location. For example, if you had a phone number that started 020, it would indicate that you lived in London or that your business was in London. 0121 would mean Birmingham, 0131 would be Edinburgh, 0141 Glasgow, 0151 Liverpool, 0161 Manchester, and so on. Every area of the UK has a different area code, known as an STD code. Having one of these is great if you’re only wanting to do business in that area. For example, having an 0161 would give out the signal that you are a Birmingham company, and that you do business in Birmingham and surrounding towns and cities in the Midlands. This is great if you want to just do business locally. However, if you want to operate nationally, then a non-geographic number is ideal, because it sends out a message that you are not based in any one location – rather that you are UK wide. Even if you are only a small business, having a non-geographic number tells customers that you are a national business. Click here for more information. The IVR Added Value Feature – also known as the Auto Attendant, is the nifty little feature that greats your callers with a friendly welcoming message before inviting them to “Press 1 for Sales, Press 2 for Accounts, Press 3 for Customer Service ...” etc.It can be added to any of our 0800, 0844, virtual or 0845 numbers. You can choose the welcome message that is played to people when they call your number, as well as what the options are for each number, and the phone numbers that each number gets put through to. So, it can be sales, accounts, customer service, marketing, complaints – whatever you would like it to be. This is ideal if you are a large organisation and you want to save both your receptionists and your callers’ time by putting them through to the right department at the start. Better this than your customers waiting in a queue to be put through to reception, only then to have to wait in another queue to speak to the person they want to speak to. This system also works well for smaller companies than want to look larger than they actually are. You set up the messages the same, but they all point through to the same phone or department, making it sounds like the company has lots of departments. OFCOM recently announced plans to simplify call charges to avoid consumer confusion. The 0845 Number Company always aims to be open and transparent about our 0845 charges, and in line with that approach have produced this blogpost. 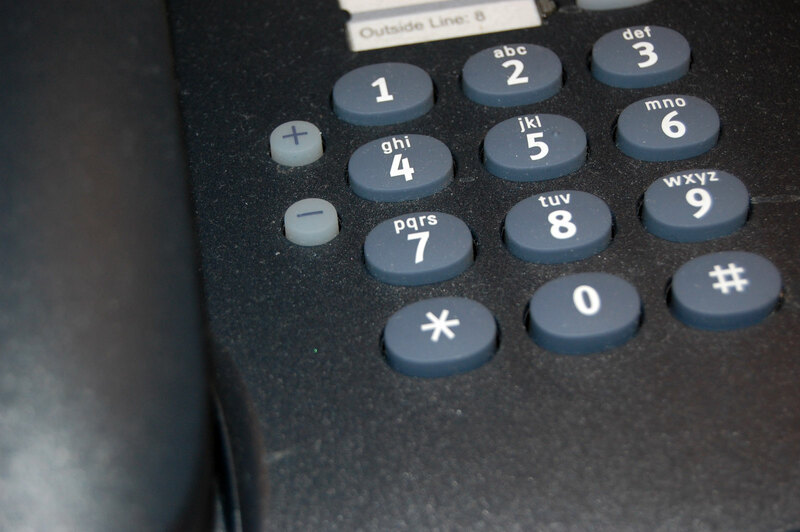 An 0845 number is “pointed” to your existing landline or mobile phone. People calling an 0845 number from a landline pay between 3-5p per minute, depending on the service provider. This is why they are known as lo-call numbers. If you are calling from a mobile then the charge varies according to your mobile provider. The owner of the 0845 number doesn’t pay to receive the call if the 0845 number is pointed to a landline. We just charge a one off set up fee of £5 + VAT, and then a monthly rental of £5 + VAT. If the 0845 number is pointed to a mobile however, you also pay 8p + VAT per minute to receive the call, and 27p + VAT per minute if you are with the 3 Mobile network. Our 0845 numbers are “pay per second billing”, so you only pay for what you use. We don’t tie you into a long term contract with any of our numbers, you just have to give us 30 days written notice if you want to cancel. A question we are often asked is “What are fax to email numbers?” Well, you use one in exactly the same way as you would any other fax number, but instead of receiving faxes on paper through a fax machine, you get them sent straight to your email inbox, just as you would an email. It can be 0800, 0845 numbers, 0844, virtual or any of our other numbers. If you have one of these phone numbers with us then it is ideal to get a fax to email number with the same prefix so that they match. There are a huge number of benefits to fax to email numbers. The key one is the obvious benefit to the environment. 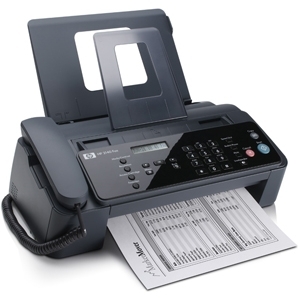 Fax to email saves huge amounts of paper, as you only print out faxes that you need printed. It also saves electricity, as fax machines are notoriously costly as you have to leave them switched on all day and all night. It is also a huge financial saving, as you don’t need to buy a new (or replace your old) fax machine, plus it saves the costs of ink, toner, paper, and electricity. There is also the organisational time it saves, as you don’t need to keep going to check the fax machine, and you don’t need to worry about filing faxes, you can just store them in the relevant locations on your computer. All in all it is highly efficient. “People generally know what an 0800 number is” says Jemma Fox, Marketing Director of The 0845 Number Company, “but they’re often unsure about what exactly an 0845 number is. This article is therefore designed to give people some information about what exactly an 0845 number is and to give some details on our pricing and policies so that people know what to expect from an 0845 number”. 0345 numbers were first introduced in 1985 as BT’s version of Lo-Call numbers, and 0645 was Mercury Communication’s version. Readers may remember that Mercury Communications was formed as a consortium of Cable & Wireless, British Petroleum and Barclays Merchant Bank in 1982. These two numbers survived until 2000 and the Big Number Change of 22nd April, when they were replaced by one number: the 0845 number. These were universally charged as local numbers until 2004, but this can now vary. The 0845 numbers provided by The 0845 Number Company are lo-call numbers. They can also be referred to as low-call numbers, but the basic principle behind them is that if the person making the call is phoning from a landline then they pay the same cost as if they were making a local phone call. As that cost is low, the words low and local and combined to make either low-call or lo-call. Customers may be charged by their mobile phone provider when calling an 0845 number from their mobile. 0845 numbers are pointed to either existing landline numbers or existing mobile numbers. When pointed to either a landline or a mobile there is a one off £5 + VAT set up fee, and then a monthly number rental of £5 + VAT. Unlike 0800 numbers, you don’t pay to receive calls when the 0845 number is pointed to your landline. However, if your 0845 number is pointed to your mobile phone then you do pay 8p + VAT per minute to receive the call. If you are on the 3 Mobile network this increases to 27p + VAT per minute. The 0845 Number Company also offers an environmentally friendly and energy efficient fax-to-email 0845 number, which means that people send you a fax and it goes straight to your email inbox. The 0845 Number Company also offers a wide range of added value features to accompany their 0845 numbers. With all phone numbers from The 0845 Number Company you only have to give 30 days written notice to cancel. If you order between 9am and 5pm on a normal working weekday then The 0845 Number Company will be able to connect your new number in minutes. The 0845 Number Company provides fully itemised bills, per second billing and discounts on multiple numbers. Jemma Fox said: “0845 is a fantastic compromise between freephone numbers and premium rate numbers. Your customers pay a small amount – it’s not free but then it’s not high either. Meanwhile you don’t pay to receive the call but you don’t get money from it either. However it is still a non-geographic number so it still gives you that national presence”. Not surprisingly, The 0845 Number Company is best known for its 0845 telephone numbers, 0845 fax to email numbers, and for the wide variety of additional features it provides to accompany its lo-call UK 0845 numbers. However, it also offers a professional virtual reception call answering service. They have a number of experienced, trained receptionists in their team at The 0845 Number Company who can answer your calls for you quickly and professionally. They will answer your calls in your business name in our UK based offices during the normal working week – Monday through to Friday, 9am – 5.30pm, so that it appears to people calling you that it is somebody from your company answering the phone. They will agree with you what you would like them to say, and will take accurate, detailed messages from your customers and then email them to you straight away. Commenting on the service, Jemma Fox, Marketing Director, said: “The 0845 Number Company offers a flexible service to match your needs. So, if you’re slightly overstretched and could just do with a hand to catch the overflow calls so that you aren’t missing any then we can provide that service. At the other end of the scale, if you’re never in the office, either because you’re always out on the road or working somewhere else, then we can answer all of your calls and send all of the messages back to you. The service really can be tailored to suit your needs”. “The huge benefits of this to you are that it makes your company look more professional, as your customers aren’t just faced with either an engaged tone or a continuous ringing phone or a voicemail – they actually get to speak to a human being. The benefits that this alone can bring to a company’s image are hard to overstate”, said Fox. As with their 0845 numbers, 0800 numbers, virtual local numbers and other telecoms related services, The 0845 Number Company only requires 30 days notice to cancel this service, so you’re not tied in to a long term package if you find out that you don’t need it at a later date. Call Plan 1. This is £20 per month, with The 0845 Number Company charging 65p per minute for calls received. Call Plan 2. This is £50 per month, with The 0845 Number Company charging 35p per minute for calls received. This is ideal for companies receiving high volumes of calls. Call Plan 3: This is for holiday or temporary cover, and costs £5 per day, with charges of 65p per minute for calls received. If you work to roughly the same schedule each day, then there is an easy way of making sure that you get all of your calls in the place you’re going to be without having to make any daily changes, diverts, or anything else. Instead, you can make your phone number work for you and follow you around with an 0845 telephone number from The 0845 Number Company. Time of Day Routing is an additional optional feature which you can add to your 0845, 0800, 0844 or virtual local number for a one off set up fee of £5 + VAT, and then a monthly rental of £5 + VAT. The 0845 Number Company use it to programme your number to follow you. For example, it can be set up so that calls are routed to your office during business hours, and then to your mobile outside of business hours. Or a more customised plan can be made, for example your mobile phone whilst you are getting to and from work, your office phone whilst at work, and your home phone number for when you are at home. Or if you prefer, you can have your number routing directly to your voicemail when you know you won’t be able to answer it, such as when you’re driving. All you have to do is supply The 0845 Number Company with times and contact details and they do the rest for you. They are also aware that your business hours or travelling times might change, and so your plan doesn’t have to be set in stone, they can change it for you! The 0845 Number offers a range of other extra features to accompany their lo-call non-geographic features, including call whisper, voicemail, greetings message, IVR and call recording. No voicemail message left? No problem! If a potential customer calls you and you miss that call, and they do not leave a message, that does not mean you should miss that customer. There are lots of ways to make sure a single customer doesn’t slip through the net, says The 0845 Number Company. Yet sometimes, it isn’t always possible to catch every phone call that is made to your company. You can get a wide range of additional features for non-geographic 0845 numbers to try to limit the amount of potential customers that you miss. The 0845 Number Company’s voicemail feature allows you to record a personalised greeting for anyone calling you, and allows that person calling to leave a message, but it then emails you with a recording of the message, so if it is urgent, you can still hear it even if you are not near your phone or not in the office for a while. This is great for catching those potential customers who phone up and want to leave a message, but quite often if a potential customer calls a company and they don’t get a response, they don’t bother leaving a message. They want to speak to a human being, and when they hear a voicemail, that’s it, they can’t be bothered, and they hang up. They may try again at another point, but if they phone a competitor in the meantime who does answer their call and is able to help them, then why would they bother calling you back? This is why the voicemail feature sends you an email with the phone number of anybody who has called your 0845 number and hasn’t bothered leaving you a message. You don’t have to wait until you’re next in the office to dial a number to find out who called you last, instead you can just check your emails and call them straight away. This means that firstly you don’t miss any potential customers, even if they don’t leave a message, and secondly that you can get back to them fast, hopefully before they have had a chance to get in touch with your rivals. Another useful feature is the Online Call Statistics feature. This details the number of the person who called you, the time of the call, the duration of the call, how quickly you answered the call, as well as details of any missed calls, so this gives you another way of checking on any customers you might have missed speaking to. These are great options if you aren’t near your phone and unable to take a call, but the other way you might miss a call is if you have another customer on the line and so cannot take the call. Being faced with an engaged tone is just the same as being faced with a continuous ringing phone to a customer. They generally aren’t going to think, “they’re a really good company because they’re engaged they must be popular”, they’re still just going to call the next business on the list. The solution to this is DOBNA. DOBNA stands for Divert On Busy Or No Answer, and means if you cannot answer the phone because you aren’t there or because you’re talking to someone else, the call will divert to alternative contact details, which may be your home number, your mobile, or a colleagues number, to make sure that someone answers the phone. One final option is Time Of Day Routing, whereby you can set your 0845 number to ring through to different numbers at different times of the day, eg. to your business phone between 9am and 5pm and to your mobile at all other times to make sure you don’t miss the call. DOBNA is an extra feature which The 0845 Number Company offers for its 0845, 0800, 0844 and virtual local numbers. “DOBNA is not a character from Harry Potter” says Jemma Fox of The 0845 Number Company. “DOBNA stands for Divert Calls on Busy or No Answer. DOBNA ensures that you or your business never misses a call. Essentially, it does exactly what is says on the tin. If a customer calls you and the line is busy, or if you don’t answer because you are away from your desk, then The 0845 Number Company diverts the call to an alternative number. You provide The 0845 Number Company with a list of alternative contact numbers. So, for example, if your office number is engaged or if there is nobody there, then the next number that the call might divert to might be your mobile, or another office, or a different colleague. The chances of someone answering the phone are pretty high, so chances are that you will not miss any calls. Nobody wants to be missing customers whilst the economic recovery is still fragile”. The 0845 Number Company has a number of other added value features which you can add to your 0845 numbers, as well as 0800, 0844 and virtual local phone numbers. These include Call Whisper, which lets you know the number the person on the end of the phone is calling if you have more than one number pointed at that phone. It also includes personalised voicemail, which also emails you any voicemail messages you receive as well as notifies of any calls you received whereby the caller didn’t leave a message. Another great option feature is IVR – or Auto Attendant – which is the “Press 1 for Customer Services” etc that you get with many large companies, and makes your business sound quite large and professional when people call it. Other optional additional features include a personalised welcome message for your callers, a feature that records all of your calls so that you have them for your records, and a call queuing system for when you have lots of people calling your business at once. All of these features can accompany either 0845, 0844, 0800, or virtual local phone numbers supplied by The 0845 Number Company. 0845 Numbers are lo-call numbers, whereby if the number is pointed to a landline, the recipient does not pay to receive the call and the caller pays a lo-call rate of between 3 – 5p per minute from a landline. With an 0800 number, the caller does not pay for the call if they are calling from a landline, as it is a freephone number. Instead, the recipient pays to receive the call, around 3p per minute + VAT if the number is routed to a landline. With an 0844 number the person calling from a landline pays slightly more to make the call (around 5p + VAT per minute from a landline) with the recipient of the call receiving 1p of that per minute as a rebate and not paying anything to receive the call. Finally, local numbers give people the impression that a company is based in a specific location when in fact they might be based somewhere else. This is mainly used by companies who have one national base but want to operate in lots of different locations and cannot afford to have premises in all of those areas. The 0845 Number Company has 479 different area codes. The 0845 Number Company have an optional added value feature on their numbers which allows you to record all of your inbound or outbound phone calls – an incredibly useful feature for a wide variety of situations. The 0845 Number Company has a range of additional extra features which you can chose to have added to your 0845 numbers package if you so choose. Two of these features are call recording for inbound calls and call recording for outbound calls. These features mean that The 0845 Number Company records your calls for you, and when the call has ended you automatically receive a recording of the call by email. You can choose to have all of your calls recorded automatically (the most popular choice), or if you wish to be more selective you can just record a selection of calls, or start recording the calls yourself part way through the conversation. Jemma Fox, Marketing Director at The 0845 Number Company, says: “Our customers find this service incredibly useful for a number of different purposes. One of the most common is companies using the recordings for training purposes. However, we are finding that a fast growing use for the service is for companies to keep accurate and detailed records of all their dealings with their clients – recorded minutes. Previously, the person on the end of the call would have to make detailed notes on the phone conversation they have just had with a client, customer or business partner. If it had been a particularly long call then some of the details might have been lost, or misheard, or there might have been some confusion over what was agreed. Having a complete and accurate recording of the call means that those issues have become a thing of the past. After each call, you receive the recording in your email, and then you can save that recording in a file with all other work relating to that client if you so choose – and thus can call on it as a reference in the future”. For each of the features The 0845 Number Company charges a one of set up fee of £5 + VAT, and then a monthly service charge of £5 + VAT. It is particularly efficient when used in conjunction with The 0845 Number Company’s fax-to-email service. Fax-to-email involves you having a separate 0845 number which is used as a fax number. But instead of the faxes you are sent going to a fax machine, the service converts them to a PDF and sends them automatically to your email inbox. Thus, instead of having to leave your fax machine on 24 hours a day, 7 days a week, 365 days per year, wasting energy and electricity, you can turn off your computer as usual at the end of the day, and not have to worry about missing any faxes. This also saves on ink and toner, and in particular paper. It means that you can add any faxes received from clients to a folder with other work relating to them, including recordings of calls with them, meaning less paper hole punched and put in a file on the shelf, and more work all together and easy to find in your computer files. 26/09/2013 - What is an 0845 number?